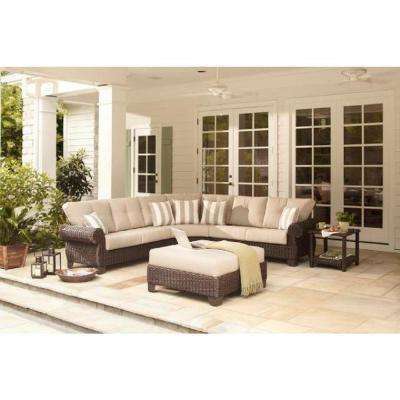 This Home Depot guide provides details about materials and features of patio furniture and helps you choose right furniture for outdoor living areas. 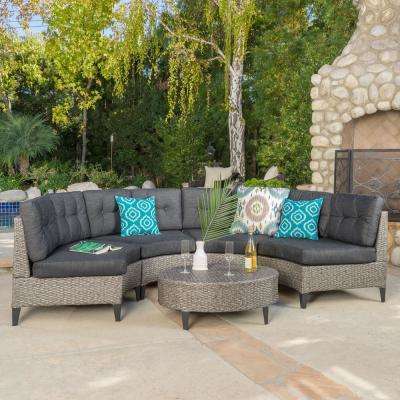 Make sure everyone has enough seating at your next backyard barbecue or block party with a stylish outdoor sectional. 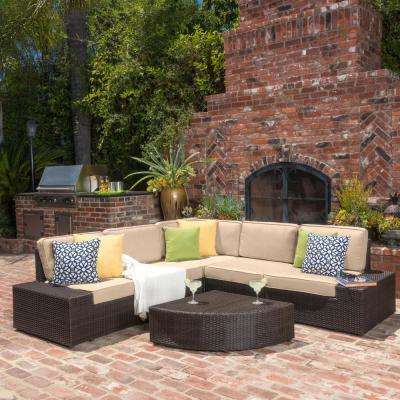 Use these customizable pieces to host a crowd or enjoy a cozy conversation under the stars. 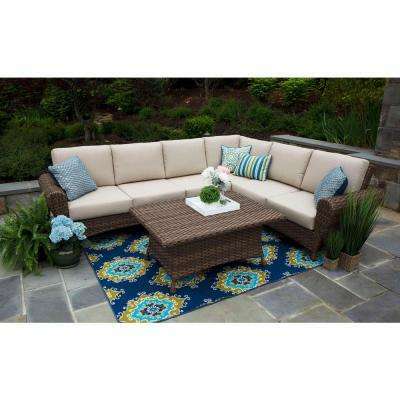 You can create an outdoor sectional sofa that fits your specific outdoor space and entertaining needs. 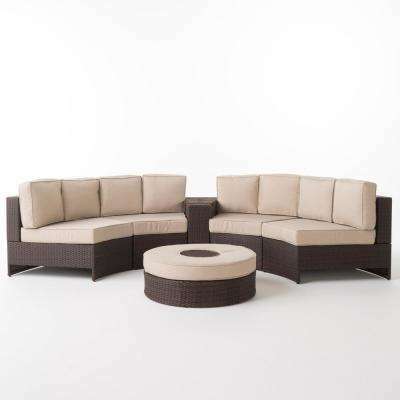 Mix and match different sections to build modular outdoor furniture. 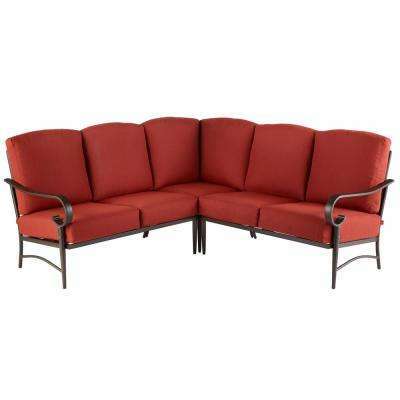 Use armless seats, square-corner or curved-corner seats, and right- and left-arm seats to design the shape you want. 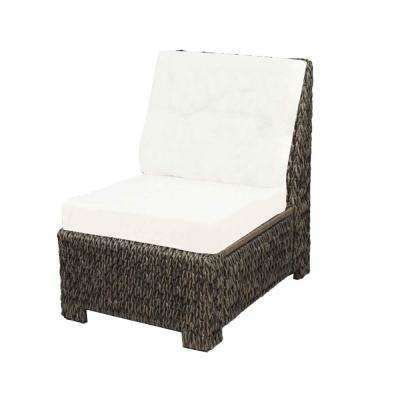 Consider “L” shaped patio furniture to fill a large area and provide maximum seating. 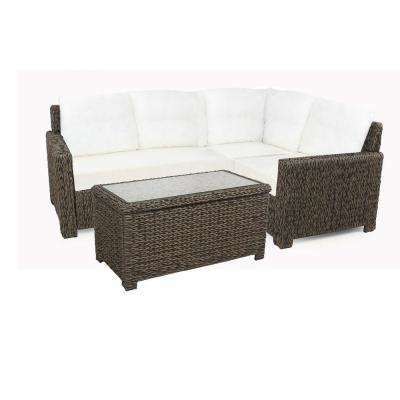 Don’t worry if space is tight: Some small outdoor sectionals can fit on apartment balconies. 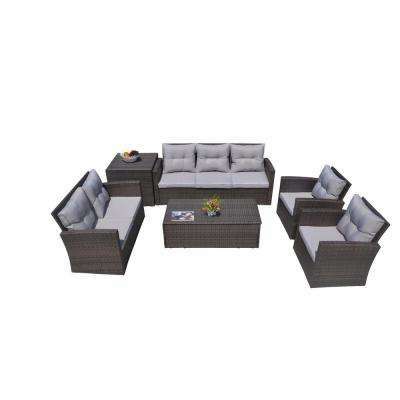 You can also opt for a pre-designed sectional patio set. 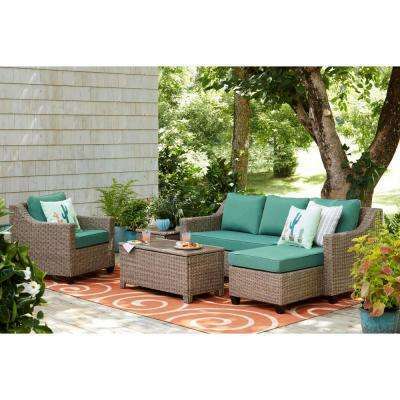 Some include a matching ottoman, while larger collections have a coffee table, armchairs and a canopy. 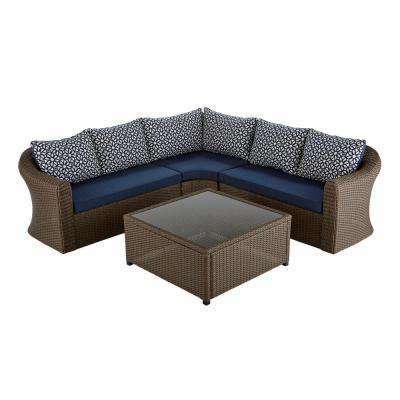 Consider both the frame and the cushions for your patio sectional. 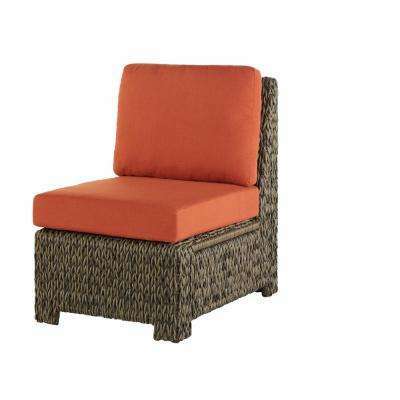 You can also buy cushion slipcovers to change the look when desired. 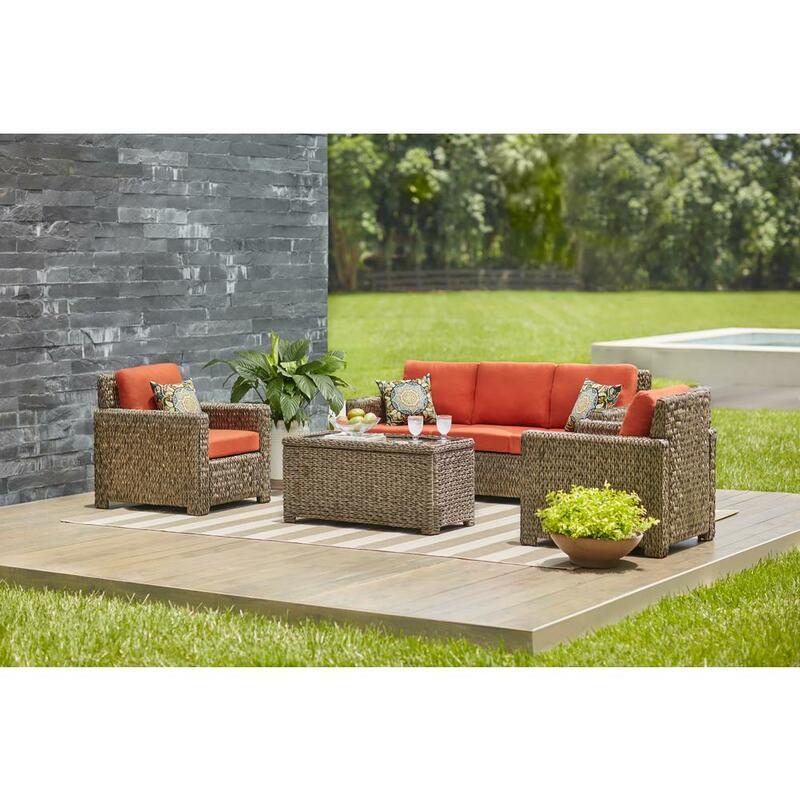 ●	Outdoor wicker sectionals have a rustic yet on-trend look. 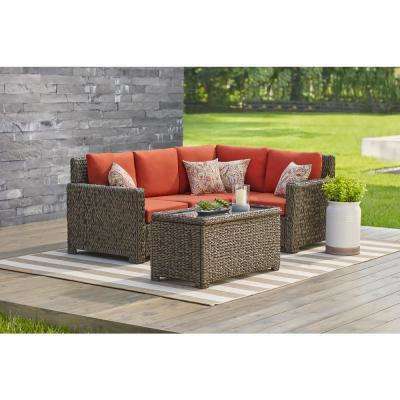 Their lightweight and sturdy frames have a woven, textured style that blends well with the great outdoors. 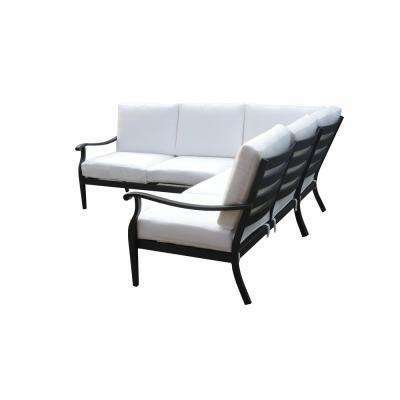 ●	Metal and wood outdoor sectionals have tough frames in a variety of decor schemes, from simple to ornate. 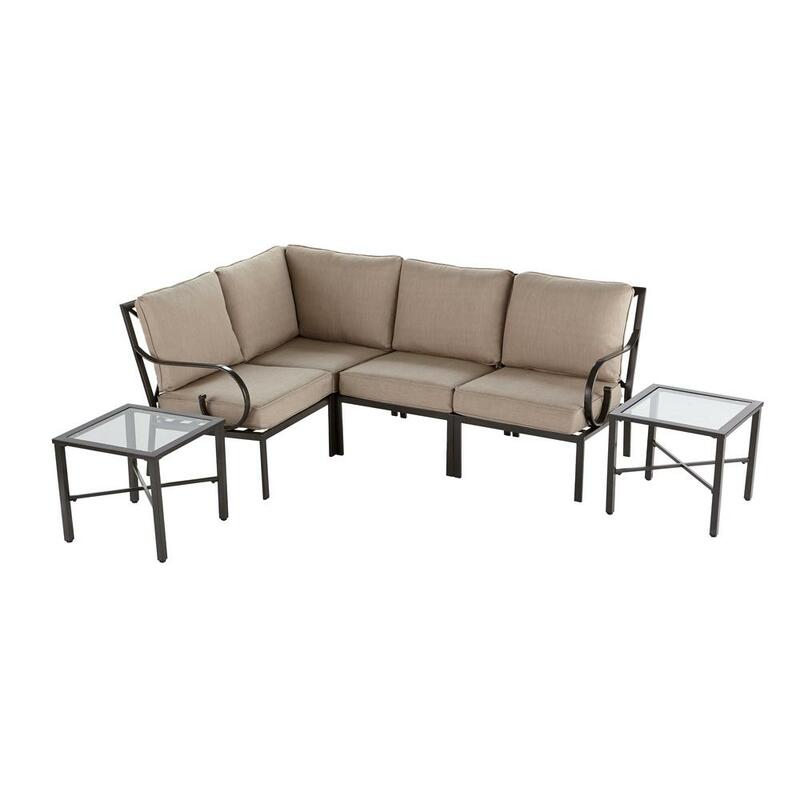 Many options have slim legs and arms, so the cushions are the focal point. 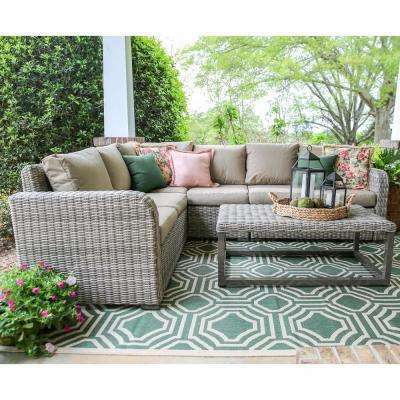 Choose cushions from a range of colors and patterns that reflect your style. 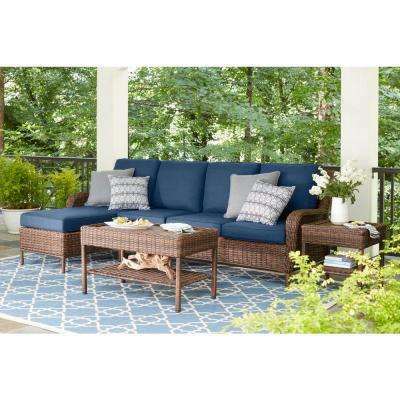 Navy blue sectionals are a classic choice. 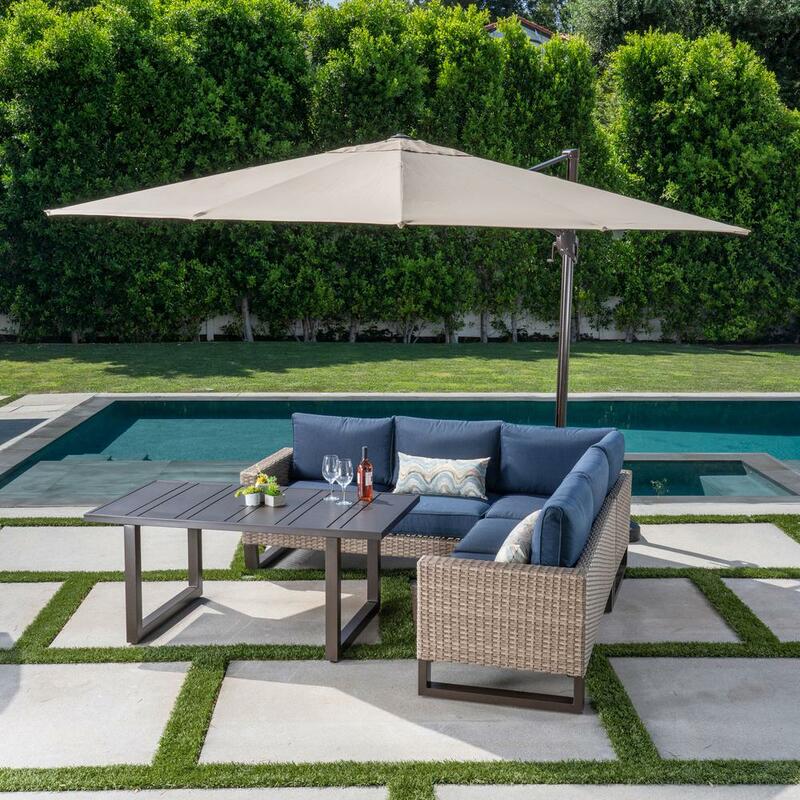 They work well anywhere from country patios to poolside cabanas. 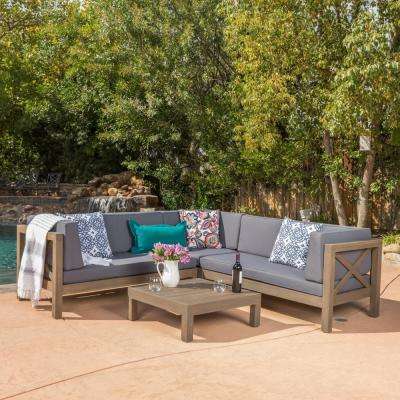 ●	For a polished look, consider upholstered outdoor furniture. 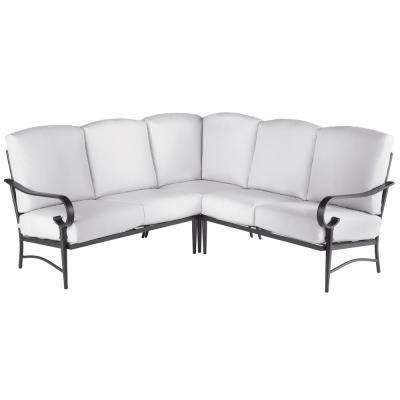 Some models look just like your indoor living room sofa, with fabric-covered arms and backs. 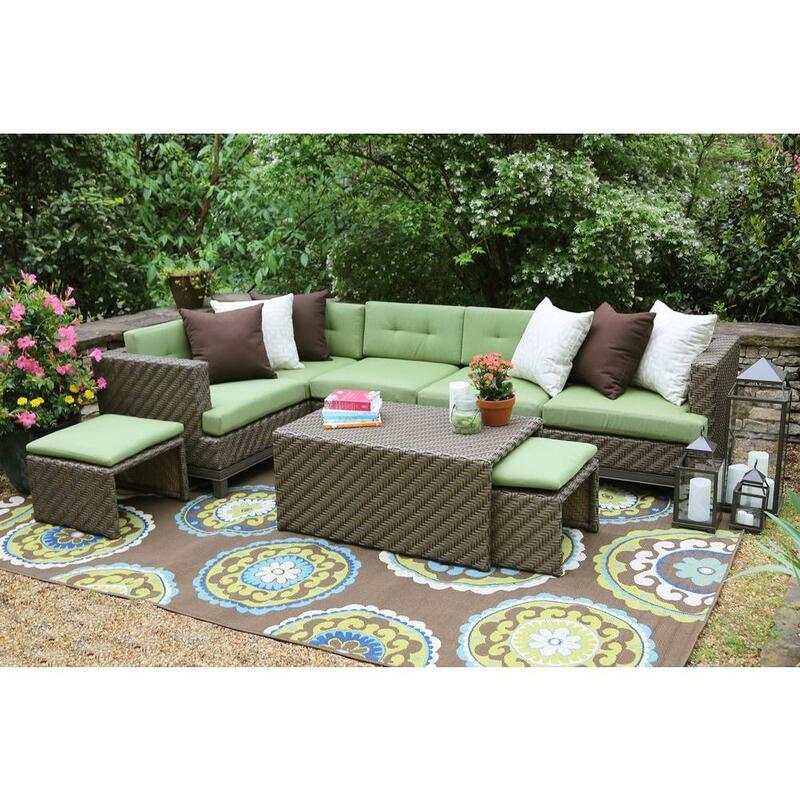 Your guests will be surprised it’s fit for the outdoors. 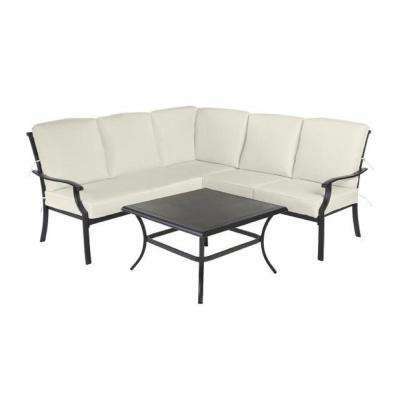 Outdoor patio sectionals are designed to withstand harsh elements. 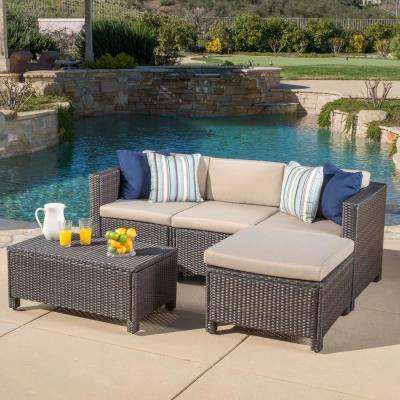 But rain, wind and the sun can wear down furniture over time. 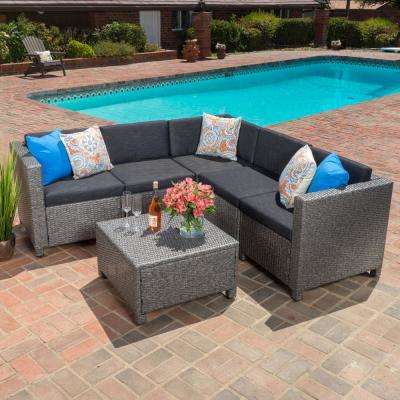 Use an outdoor sectional cover to protect the frames and cushions from severe weather and prolong the life of your outdoor furniture. 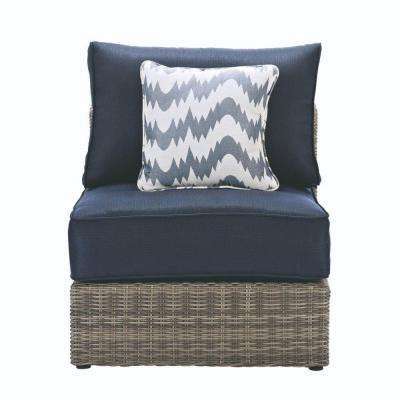 Consider bringing cushions inside when not in use during the colder months.